Logging was very important in the 1800’s, and the years before, all over the world. Logging employed thousands of people to help make houses and other buildings for everyone as the central part of the United States developed. Wisconsin also needed logging companies so it could develop. The Knapp, Stout and Company was the biggest logging company around this area. It was owned by John Holly Knapp and William Wilson. It once was the best logging company anywhere. In 1846 William Wilson and John Holly purchased half of a small mill owned by David Black. This mill was located in Menomonie, Wisconsin. Until 1850 it was named the Black and Knapp Mill. About three years later another gentlemen named Henry Stout purchased the other half from Black, and from then on the mill was called Knapp, Stout and Company. 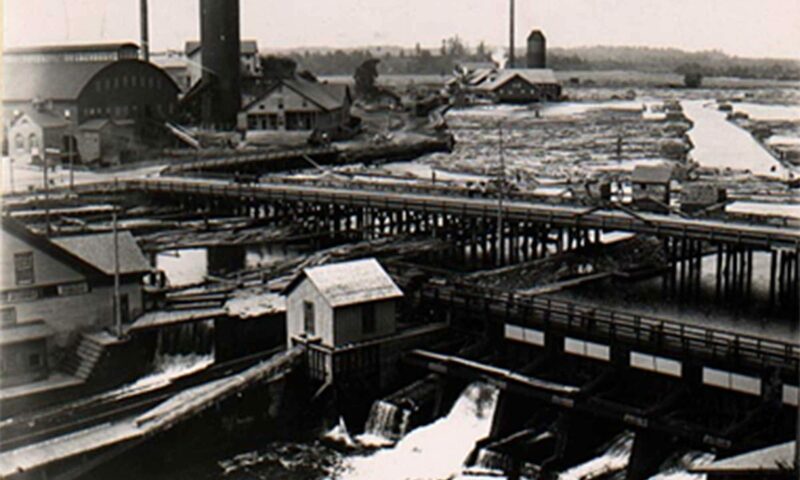 Menomonie became a huge trading site for the mill. 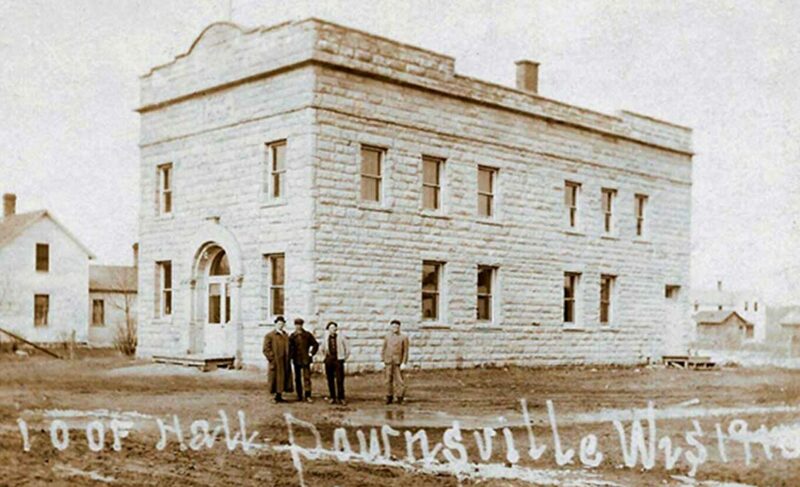 The mill employed over 2,000 people from Menomonie and other small area towns. By the 1870’s, the company had grown to become the largest lumbering operation in the world. In 1878 they had control of the Red Cedar Valley. Other communities helped the company by putting up dams around the company dams. Cities involved in helping were Cedar Falls, Downsville, Prairie Farm, and others. Between the 1870’s and the late 1890’s the company processed approximately 85 million board feet of lumber. The rivers that the company used are the Mississippi, Red Cedar, and Chippewa River. They sent their lumber as far south as St. Louis, Missouri. They used some steamboats, to guide rafts down the river so that they wouldn’t lose a lot of the lumber. They had three different offices on the Mississippi River. The location of the offices were Dubuque, Iowa, Read’s Landing, Minnesota, and St. Louis, Missouri. Around the 1900’s Knapp, Stout and Company moved their production line further south to Arkansas and Missouri. The main reason for their move was that the logging in earlier times in Wisconsin, had considerably diminished the forest, and the new area had better forests. In 1888 John Holly Knapp died, and his son John III, his siblings, and their mother took over for him. In 1949 the children gave their estate to the Eau Claire Diocese as a memorial to their parents. The house in Menomonie still stands and is now known as Bundy Hall on the campus of the University of Wisconsin-Stout. By Amanda Kircher with information from http://discover-net.net/~dchs/history/exbundy.htlm in March of 1999.